Confidently embark on a new journey in the 2018 Volkswagen Tiguan Limited. This compact SUV doesn’t skimp on space for your cargo. The 40/20/40-split folding rear seats let you pack your items inside, and the roof rails carry any extra gear you’ll need for an adventure. Use the touch-screen infotainment center to access navigation directions, SiriusXM® Satellite Radio, and music or podcasts from your smartphone through Bluetooth® compatibility. 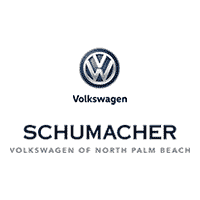 Test drive the 2018 Volkswagen Tiguan Limited today in North Palm Beach, Florida. Why the 2018 Tiguan Limited? We appreciate your interest in our inventory, and apologize we do not have model details displaying on the website at this time. Please fill the form out below and our team will quickly respond, or, please call us at (844) 783-3509 for more information.